Contact your local fire service for a free Safe and Well check. Fire officers will visit your property and carry out a full fire safety check. Safe and Well visits are completely free and you may be eligible for free smoke alarms to be fitted were required. You will not be sold anything. 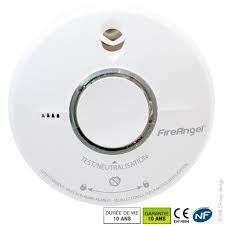 On most occasions your local fire service will supply and fit smoke alarms free of charge. Don't risk the lives of yourself and your family contact your local fire service on their non emergency number and request a Fire Safe and Well check. Non emergency numbers for your local fire brigade are available through Google. Just for info 3 of my neighbours have had this fire safety check carried out. 1 is elderly and 2 others have children. The fire service identified the best location for the alarms and supplied and fitted them free of charge. They were not cheepo alarms either they were the fire angel alarms that have built in batteries. They provided a Fire blanket in the kitchen for my elderly neighbour and even gave the kids some freebies. Oh no ....waits for the "you should not use the fire brigade for smoke alarms they are stretch enough "
Oh no ....waits for the "you should not use the fire brigade for smoke …Oh no ....waits for the "you should not use the fire brigade for smoke alarms they are stretch enough "
‌ No problem, I won't ... hahahahahahaha. Its part of their core role when not attending emergency calls so don’t worry about being a burden on the system. Plus it’s also a bit of PR for the fire service. Why did this not make 100 degrees. Heat added. Anything like this should be smoking.... pardon the pun. Jokes aside. This sounds excellent and I will be checking it out. Why did this not make 100 degrees. Heat added. Anything like this should …Why did this not make 100 degrees. Heat added. Anything like this should be smoking.... pardon the pun.Jokes aside. This sounds excellent and I will be checking it out. I'm not sure really. It seems that most will vote on a deal saving 10p on a £20 computer game but don't vote on something for free that could potentially save their lives. It's a strange old world. I'm not sure really. It seems that most will vote on a deal saving 10p on …I'm not sure really. It seems that most will vote on a deal saving 10p on a £20 computer game but don't vote on something for free that could potentially save their lives. It's a strange old world. people troll vote unless it’s a really hot deal. Well you have some more heat pal. Would be nice to get it to 100. If you live in Mid & West Wales, please fill in the form via the below link, to request a Home Fire Safety Check. Excellent I hope people take it up. Just for info 3 of my neighbours have had this fire safety check carried …Just for info 3 of my neighbours have had this fire safety check carried out. 1 is elderly and 2 others have children. The fire service identified the best location for the alarms and supplied and fitted them free of charge. They were not cheepo alarms either they were the fire angel alarms that have built in batteries. They provided a Fire blanket in the kitchen for my elderly neighbour and even gave the kids some freebies. When i moved into my new flat I fitted a bunch of those Fire Angel alarms as they were advertised that they had a 10 year life, even on the back of the alarms they give you a date to replace them (the date on all my alarms was 2026) which is around 10 years minus the time they have been sitting in a shop I guess. Needless to say they didn't even last 3 years.. and as you said they have built in batteries so you cant replace them. When i moved into my new flat I fitted a bunch of those Fire Angel alarms …When i moved into my new flat I fitted a bunch of those Fire Angel alarms as they were advertised that they had a 10 year life, even on the back of the alarms they give you a date to replace them (the date on all my alarms was 2026) which is around 10 years minus the time they have been sitting in a shop I guess. Needless to say they didn't even last 3 years.. and as you said they have built in batteries so you cant replace them. Hopefully they will last a bit longer. Here in Manchester the fire brigade will check any alarms you already have fitted anyway and ensure that they work or replace them.